West One House is a modern purpose built residential building located in the heart of Fitzrovia close to Regents Park. 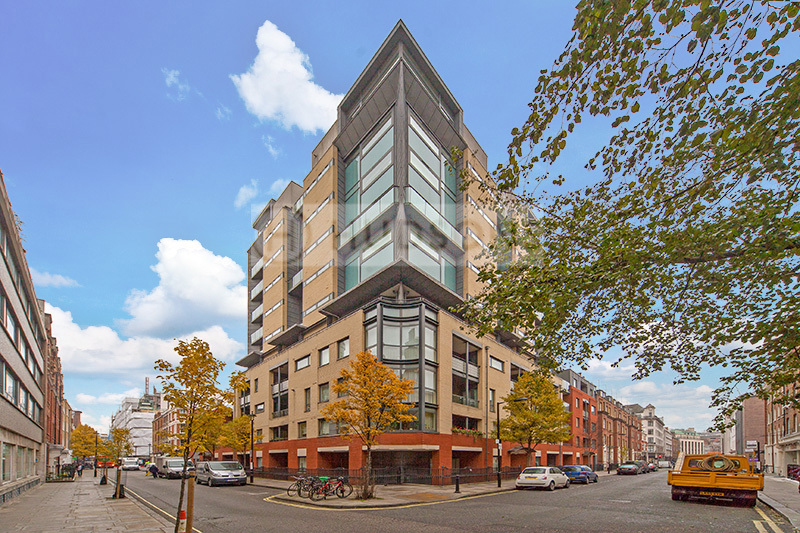 Built in the late 1990's by Berkeley homes the building is comprised of 73 apartments offering a variety of accommodation from studios to 3 bedroom duplex penthouses. Many of the apartments benefit from private terraces, which is a rare feature in central London. The building has the benefit of an underground car park which sets it aside from other residential buildings in the area and offers residents a secure place to keep their cars in a location where a parking space on the road can be difficult to come by. There is a communal garden in the centre of the building which the residents can use at their leisure, the Concierge office is located in this area. The building is serviced by lifts to each floor and a video entry phone system. The building benefits from a 24/7 concierge service, lift access to all floors and video entry phone system. The building provides easy access to the restaurants, theatres and shopping of the West End. An enviable location just a short walk from renowned eateries on Charlotte Street, Great Titchfield Street and Marylebone High Street. Weldu - Is the Head Porter and has been working in West One House from day 1. Anything you need to know about the building he will know and is always very helpful and resourceful - a great asset to the building. Do you live in West One House?